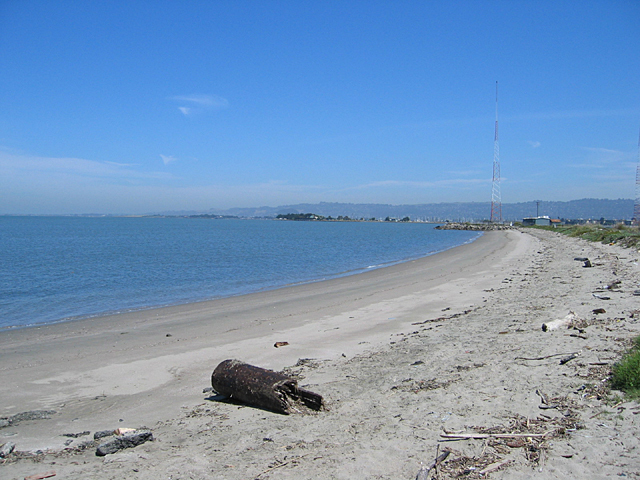 This strip of unimproved shoreline offers great views of the new Bay Bridge construction, Mount Tamalpias, and the bay north of Oakland from a 400 foot beach near the area's radio transmission towers. Location: Proceeding west toward the San Francisco Bay Bridge, take the last available exit before the bridge: "West Grand Avenue / Maritime [Last Oakland Exit]". Then take an immediate right onto the unlabeled frontage road. Continue past the bridge toll booths and park at the roadside just beyond the bridge metering lights. 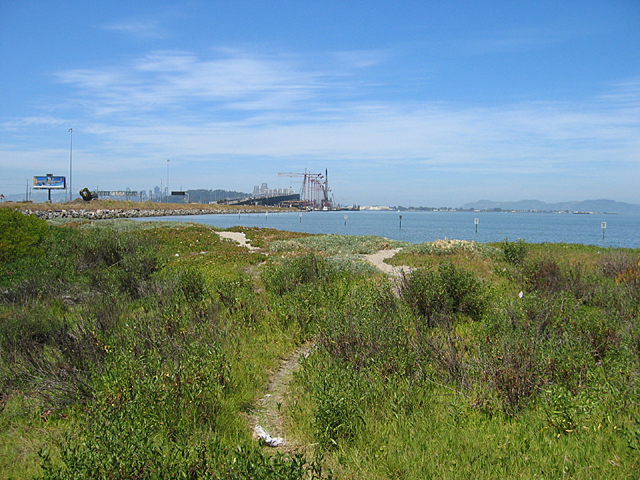 City maps designate a smaller area at the very end of the frontage road as Radio Beach, but this area has limited accessibility; visitors must walk through a gated lot, over steps crossing a concrete wall, and across an undeveloped path to the beach.